Have you ever sold a car, truck or semi-trailer? Probably, yes. Have you answered honestly to all the questions of the buyer? I assume, yes. But have you told them about all the things you would rather know yourself when buying, let’s say, a refrigerated semi-trailer? Probably, not. Don’t worry about that too much – the goal is always to buy cheap and sell dear. And finally, everybody applies a principle known as “what you see is what you get”. Unfortunately for the buyer, the same rule is often used by the courts considering cases of dissatisfied entrepreneurs. Today, we will together try to buy a used refrigerated semi-trailer (or maybe, horror of horrors, you have already bought one?) We search, for example, on eBay, and we see the offer: a nice, well-kept refrigerated semi-trailer Schmitz, the year 2006, SL 200 E cooling unit – with an electric motor. Price: 17,000 euro. I look at the first photograph, and there I see a class in the front top corner of the semi-trailer, perfectly marked in blue capital letters, compliant with applicable legal provisions: FRC 10-2012. And I think to myself: has this semi-trailer spent the last 6 years standing by a fence? Has the current owner noticed that, according to the marking on the trailer, it has not had FRC certificate since October 2012? Has it been used to transport bricks, or maybe food – for 6 years without a valid certificate? Or maybe, the owner does not know at all what the secret letters “FRC 10-2012” mean? Does a prospective buyer know that a semi-trailer from 2006 without a valid certificate cannot be used for transporting frozen products because the chances for prolonging FRC certificate after over 12 years from the year of production (2006-2018) are, gently speaking, poor? Another question that comes to my mind: the semi-trailer is from 2006, ok, fine. But when was the cooling unit produced? Because there is no such information. And if you think that a cooling unit is an integral part of a refrigerated semi-trailer, it is not true. 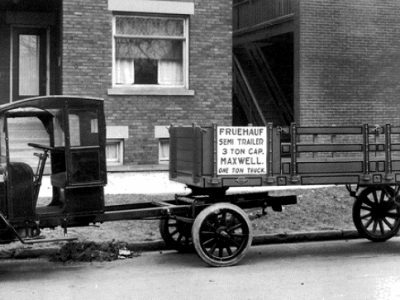 It can be quite easily replaced with another one, even older than a semi-trailer itself. As far as I remember, you just need to remove four screws. Although they are solid, there are not many of them :-). Every mechanic will deal with it. Refrigerated semi-trailer – what you need to pay attention to when buying? Firstly, a cooling unit. A cooling unit is actually the most important and expensive component of the equipment of a refrigerated semi-trailer. When buying a used semi-trailer, one should make sure that the cooling unit was produced at the same time as the semi-trailer. 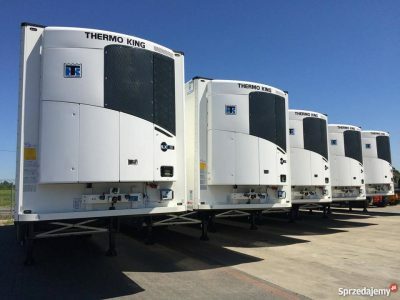 If we buy a refrigerated semi-trailer from its first owner, it is recommended to request them to show a purchase agreement of a cooling unit (there should be separate agreements). The purpose is to check if the cooling unit bought for a new semi-trailer was also new. There are no problems whatsoever to buy or lease a new refrigerated semi-trailer but with a used (even a few years old) cooling unit. When buying a refrigerated truck from a subsequent owner (or when it is impossible to find the first owner of the cooling unit), it is advisable to check the cooling unit at source. To do that, one should find a statutory plate (it will be placed on the frame: the cover of the cooling unit’s engine has to be opened) and send a photo of it to an authorized service to decipher the year of production (some producers, such as Thermoking, do not give the year of production on the plate). At the same time, the service may check the history of the given unit (it is the same as checking a service history of a car by its VIN number). It may turn out that the semi-trailer has the year 2011 in the registration certificate, but the unit is, let’s say, even from 2006. So, we buy an over-10-year-old diesel engine. It is also important to check the compliance of the unit (model, number) with the data entered into the ATP certificate of conformity (point 6.1, more down below). What equipment should a cooling unit have? When choosing a cooling unit, it is worth thinking also about its equipment. Will our semi-trailer be transported by a ferry? If so, undoubtedly, we should choose a unit with an additional electric motor. On the board of a ferry, it is strictly forbidden to leave a cooling unit with a diesel engine turned on, and the staff is well trained to check if the unit is really disabled. Is it possible to make even one of the shortest routes, Calais-Dover, with a cooling unit turned off? Well, depending on what is transported, in 9 out of 10 cases we can make it. However, there is always a high risk that the products requiring a controlled temperature will get damaged. So, if we want to go to Scandinavia, to Greece from Italy, or to the United Kingdom for that matter, we need a cooling unit with an additional electric motor. A cooling unit should also be equipped with a printer (resembling a fiscal printer), so that, when unloading, a driver could print temperature data from thermograph right away and attach them to the CRM document. This is a good practice – we never know when a client ordering refrigerated transport will request such a printout from us (and usually such right is stipulated in the order). Is it possible to circumvent it? Yes, we can always go to a specialized service to read the data from the unit’s computer (it stores data even from the transports from the previous year!) and then print it on a regular printer. But this way, we waste our time and money. It is really cheaper to buy a refrigerated truck equipped with a printer and provide the driver with paper rolls – identical ones as for digital tachograph. If we want to transport fresh fruit or vegetables we would also need additional lockable air outlets in the rear or front part of the refrigerated semi-trailer. After making sure that the production data of the cooling unit is not older than the one of the semi-trailer and it has the equipment we need, it is worth checking if it works properly. To do that, it is good, first, to set the temperature of about -20°C. The cooling unit on its own should, without any problems, cool down the empty semi-trailer to -20°C even if the ambient temperature is reaching +30°C at maximum a few minutes. In addition to the year of production, the number of operating hours of the cooling unit is also an important factor. This is something like – apart from the year – an odometer in our car. It is easy to check the number of operating hours (MTh) on a display of the unit. Please, do not pay attention to the parameter “TOTAL”, as it covers also “stand-by” hours, when only the electric system works. You should separately check the meter of operating hours of the diesel engine (if any) and the number of operating hours of the electric motor. After adding these two meters (diesel+electric motor) you will get an actual number of operating hours of the cooling unit. This is important, as the key elements of the devise (such as the compressor, the clutch) have a defined life. Personally, I would not recommend buying a cooling unit with more than ten thousand operating hours. Please, remember that a very simple diesel engine and a compressor constitute a heart of a cooling unit. As for basic things, the engine should start without any problems, it should not visibly smoke. Any “squeaking” sounds of the belts driving the compressor also mean trouble – they may be caused by an old wedge belt or foreshadow bigger problems with the compressor. After cooling down the semi-trailer to -20°C we may set the unit to work in a cycling mode and check if there are no error codes on the display. A semi-trailer cooled down to -20°C, a warm temperature outside, a working cooling unit – the engine works just fine – mean that it is a right moment to check the body. It is worth remembering that the walls of a refrigerated truck cannot be repaired in the same way as the body of a car – with a filler. Each such patch deprives the trailer from its proper insulating properties in the spot when it is applied. A so called thermal bridge may appear, and, consequently, the semi-trailer may fail a technical examination and loose the certificate for food transport (which will be discussed later on). Especially, after cooling down the semi-trailer rapidly, the spots of such repairs will be more visible. The surrounding area may be covered with hoar frost or condensed water. 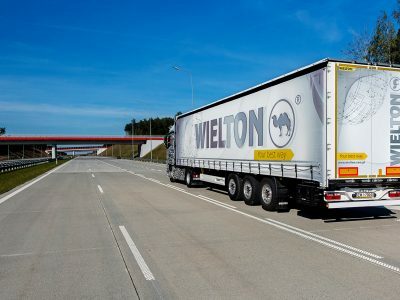 An external thin metal layer of the refrigerated truck’s walls must not have traces of corrosion or be broken as a result of, for example, abrasion. It also must not have traces of leakage. The water which may flow in through the untight spots from the outside to the inside of the walls will detach their layers during the first transport of frozen food products. Consequently, the wall will lose its insulating and load-bearing properties. It is also important to carefully check the rear door of the trailer. The seal around the door has to be full, not jagged, and the door cannot have traces of repairs or additional “reinforcements” (often added near hinges, for example in a form of screwed in metal plates). Any swelling can mean that the door may be untight. Additionally, it is good if the door has four locks (two for each wing), is well fit and its wings are on the same level. To use a refrigerated truck for the transport of meat and meat products, fish and fish products, butter, milk products, any frozen food products (such as ice cream) and egg yolks (I will write about egg yolks on another occasion; this is a really interesting subject), we need a valid ATP certificate (i.e. the certificate that the semi-trailer is approved for transport of perishable foodstuffs). This certificate is issued for the period of 6 years and may be prolonged two times for the next 3 years. After 12 years from the date of production, unfortunately, it is necessary to perform quite complicated tests. 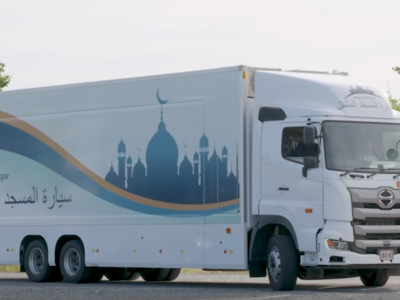 And it is not just a mere formality; it can be expected that a 12-year-old refrigerated truck (even in a good technical condition) will probably fail this test and will receive a certificate limited for plus temperatures! 1. A driver should have the original ATP certificate in a written form. Although there are court judgments that a statutory plate is a sufficient proof of holding a certificate, it is much easier to attach one page with the certificate to the other documents in a truck than to send a few thousand euros to the driver for the ticket and waste time for appeals in court. 2. A semi-trailer should have a metal statutory plate, which is compliant with a specimen, installed in a way which does not allow to replace it and can be read without opening the semi-trailer. It is usually placed on the right, external side of the front wall of a refrigerated truck (that is, in a right front corner of a semi-trailer). 3. A semi-trailer should have, on both sides of the outside walls, a marking of a class and the validity date of the certificate written in dark blue capital letters. As a standard, it will be “FRC” class, which means a refrigerated truck (F) with heavy insulation (R) and “C” class allowing transportation at a controlled temperature from -20 to +12°C (C). Next to it is the month and year of the expiry date of the certificate issued for the refrigerated truck. Everything should be written in dark blue capital letters at least 12 cm high. And when we have the “FNA” marking, it means that although it is equipped with a cooling unit (F), it only has a normal insulation (N) and “A” class allowing transportation at a controlled temperature only between 0 and +12°C (A). The German Federal Office for Goods Transport (BAG) or any other agency will see it even from a distance if our new purchase has still a valid certificate. When buying a refrigerated truck, it is absolutely necessary to check the ATP certificate. So, let’s list all the important things. A metal statutory plate should be fastened to a refrigerated truck in a way which will not cause any doubts: usually riveted, never screwed with sheet metal screws (believe me or not, I’ve seen such oddity with my own eyes). The certificate’s expiry date on the statutory plate should be compliant with the month and the year written in blue capital letters next to the class of the body, in the corner of the external wall of the semi-trailer. In addition, it is necessary to request a hard copy of the ATP certificate. However, the ATP certificate contains the information about the owner, and I had a situation when the seller did not want to provide the certificate, claiming that it was issued “for his company”, and we should request a new one. Mistake – after changing the owner of a refrigerated semi-trailer, a new certificate is not issued, but the previous one is renewed to contain the name of the new owner. To this end, it is good to show to a certifying entity a copy or at least a number of the previous certificate (although, if you are stubborn, the VIN number of the semi-trailer will do). Additionally, the “old” certificate contains the model and number of the cooling unit (point 6.1) – you should check the compliance of these data with the unit in the refrigerated truck. Because a certificate is only valid for a particular body with a particular cooling unit. If anything seems doubtful, you should also check the certificate in the issuing authority because forgeries of ATP certificates sometimes happen! Similarly, when importing a refrigerated truck from abroad, ATP certificates issued by a competent body in the country of the vehicle’s current registration are considered temporary. And it is also required to apply for an update to a certifying entity. NOTICE! The first ATP certificate is issued for the period of 6 years. It may be prolonged maximum by 3 years. After this period – for a refrigerated truck over 12 years – the attempt to prolong the FRC certificate will lead to a quite complicated technical examination. The time of such an examination will take about two business days, and the chance to keep the class allowing us to transport frozen products, that is FRC, are slender. It is more likely to get a limited certificate, such as FNA, allowing to use the semi-trailer only for the products which can be transported at temperatures above zero (0 – 12°C). Long story short, it means that we will probably not be able to transport frozen products in a refrigerated truck older than 12 years – it should also be considered if we choose an older refrigerated semi-trailer. Check if the year of production of the semi-trailer = year of the production of the cooling unit according to a statutory plate and registration certificate of the refrigerated truck. Check the use of the cooling unit. A cooling unit is an important component of the price of a semi-trailer when buying a refrigerated truck. The purchase of even the most beautiful semi-trailer without a single scratch on its paint will be a bad decision which we will regret soon. We should check if the refrigerated truck has a valid ATP certificate and if it was not fiddled with: the cooling unit entered into the certificate must be the same as the one installed on the truck. If it is not compliant, it means that someone has replaced the cooling unit which was used with the semi-trailer offered. And if the seller, for any reason, does not want to present/deliver a hard copy of the ATP certificate, it is a sufficient reason for resigning from the purchase altogether.